Raleigh Marriott Crabtree Valley Wedding. 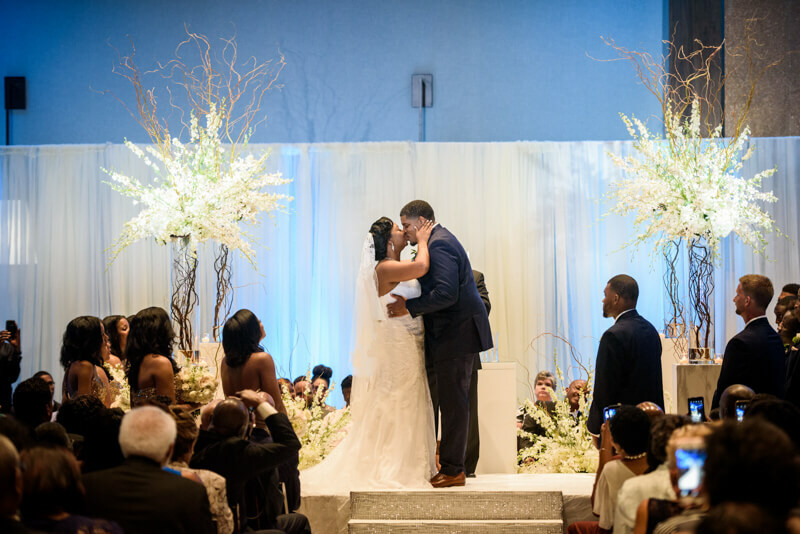 Lorraine & Rashawn are college sweethearts who met at their homecoming party. They had a formal, yet fun, wedding celebration in Raleigh, North Carolina. They honored the bride's father and groom's grandmother with a memorial table and the bride wore her mother's veil.